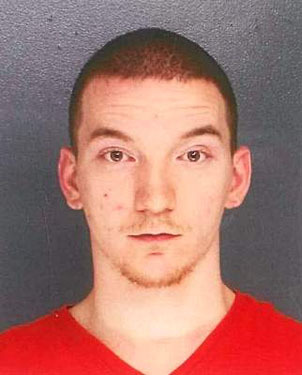 DECEMBER 19--A Pennsylvania man was charged yesterday with an assortment of crimes after he allegedly reached into a McDonald’s drive-thru window and fondled a female employee working the night shift. 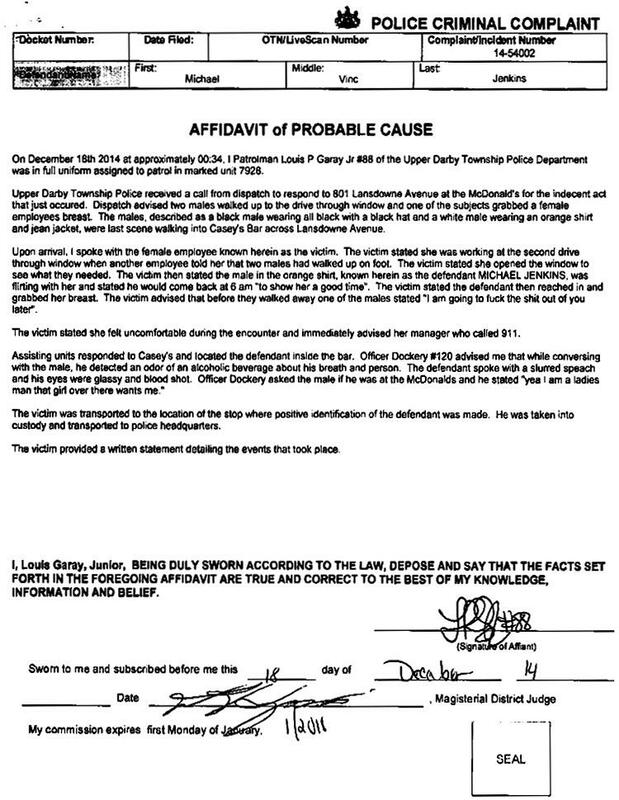 According to a probable cause affidavit, Michael Jenkins, 23, and another man walked up early Thursday morning to the eatery in Upper Darby, a Philadelphia suburb. Jenkins, seen at right, reportedly flirted with the 31-year-old McDonald’s employee, and offered to pick her up later that day for a date. The worker, police reported, ignored Jenkins. Before departing the window, Jenkins reached in and grabbed the woman’s breast, cops say. After the victim shut the window, she spoke with a McDonald’s manager who then called 911. Jenkins went from the fast food restauarant to a nearby bar, where he was arrested by cops. Jenkins was charged with indecent assault, public drunkenness, harassment, and disorderly conduct. He was later freed on an unsecured $30,000 bond. 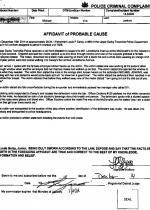 When Jenkins was confronted by an officer, he admitted to being at the McDonald’s, according to the affidavit. “Yea I am a ladies man,” Jenkins told the cop. 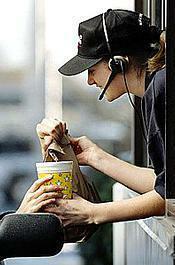 “That girl over there wants me,” he added, referring to the McDonald’s employee. In August, a Florida man was arrested for allegedly reaching into a Taco Bell drive-thru window and grabbing the buttocks of a female employee.